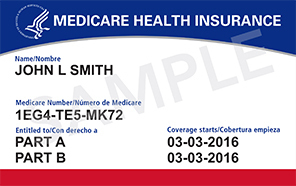 Medicare started mailing new cards to beneficiaries in April and will finish mailing them nationwide in a year. In Washington state, beneficiaries will start receiving their replacement cards this July. The cards have a new look but, most importantly, they have unique numbers to replace the Social Security numbers previously used on the cards. Medicare created the new cards to reduce identity theft and fraud. Ironically, fraudsters are capitalizing on the change to deceive beneficiaries. They may have many details about individuals, often gleaned from social media and other publicly available resources. They sound convincing. The Senior Medicare Patrol (SMP) helps beneficiaries fight back. SMP staff work in communities across the country to teach beneficiaries how to prevent, detect, and report Medicare fraud, errors, and abuse. The new Medicare cards don’t cost anything! Telling Medicare beneficiaries they need to pay to obtain a new card. Fake charges range from $5 to $400. A person claiming to be from a government agency says they need your bank account information to deposit funds into your Medicare account. Fact: The new cards are free -- you do NOT need to pay for your new card and you don’t need to do anything to get it. Medicare will automatically mail your new card to you. In fact, you can sign up to get an email from Medicare to know when to expect your card in the mail. Scam: You need to confirm or give personal information to get your new card. Fact: You do NOT need to give any personal information to get your new card. The cards are mailed to the address you have on file with Social Security. You can update your address online, call 1-800-772-1213, or visit your local Social Security office. Scam: You need to provide your old Medicare card number to prevent your insurance from being interrupted while new cards are being mailed out. Fact: Your Medicare coverage will not be interrupted or stopped because of your new card being mailed to you. For more information about Medicare card scams and other scams, contact Washington state's SMP, which is part of our Statewide Health Insurance Benefits Advisors (SHIBA) program, at 1-800-562-6900.